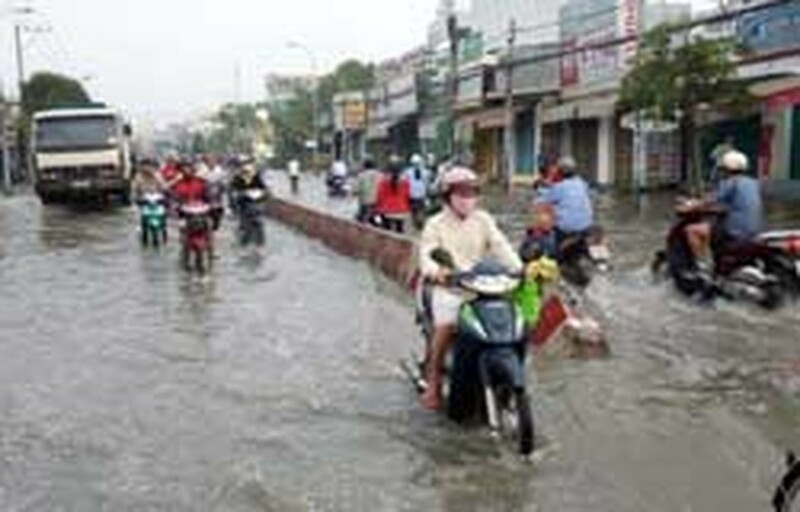 The Ho Chi Minh City People’s Committee has asked relevant authorities to resolve flooding problems in all inner-city areas as well as parts of other districts and repair roads damaged after rains, to ensure residents’ safety and convenience. The Department of Transport in the city will coordinate with the city Centre for Flood Prevention and contractors to maintain the drainage system. The department also asked experts to remain present while construction is going on so that they can observe and make timely adjustments and corrections to the work. Contractors and project managers should also check and review all drainage systems in order to find flaws that could affect roads and bridges. City authorities also asked Saigon Water Supply Corporation to coordinate with Thu Duc District People’s Committee to repair pipes on Kha Van Can Street to release the water. The city will try to complete relocation of households that are affected by dyke building projects and canal dredging projects. It will also relocate households who have illegally encroached on areas along canals, sluice gates and water drainage systems.